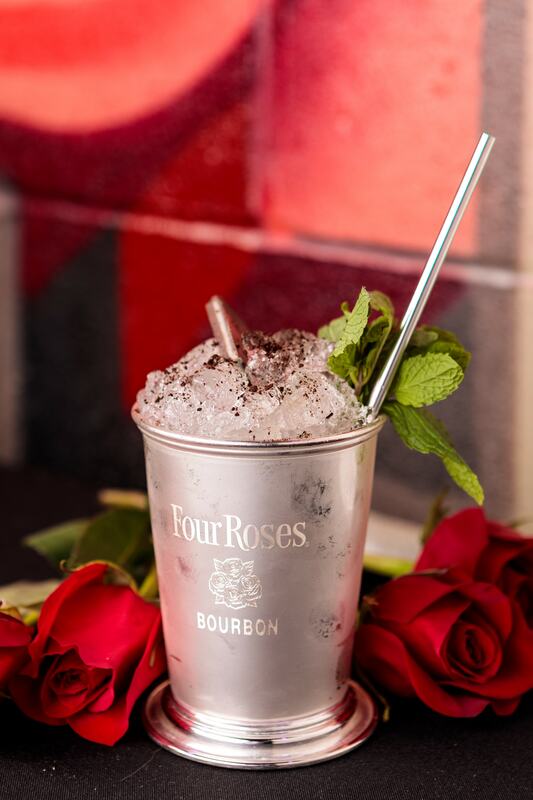 Eight Louisville-area bartenders competed at the 14th annual Four Roses Bourbon Rose Julep Cocktail Competition in hopes of receiving top honors, and bragging rights, for handcrafting the best unique twist on the classic mint julep—which traditionally includes crushed ice, mellow Bourbon, simple syrup and fresh mint, all muddled together in a silver cup. The competition was held at the Kentucky Derby Festival’s “Festival Unveiled” on March 2 at the Tim Faulkner Gallery in downtown Louisville, Ky.
A panel of beverage industry experts tasted and scored the juleps based on aroma, creativity, taste and presentation to name the winner in the “Judges’ Choice” category. The public was also invited to sample the eight cocktails throughout the night and cast their votes for the “People’s Choice” category winner. The Silver Dollar’s Mark Corley was named “Judges’ Choice” with his Wild Wilda Mint Julep and Martini Italian Bistro’s Colleen McCarthy-Clarke was named “People’s Choice” with The Petal Pusher cocktail. Of course, we wanted to share these award-winning cocktail recipes so that you could handcraft your very own. Don’t forget to post your juleps on Facebook, Twitter or Instagram with the hashtag #HandcraftTheMoment so we can check it out! Rub 5-8 mint leaves on the inside of a silver julep cup, careful not to break any so it doesn’t release any bitter oils. Then, build the creme de menthe, creme de cacao and Bourbon in the cup. Give a quick stir and add a small scoop of crushed ice then swizzle everything together. Fill the rest of the cup with crushed ice and create a nice cone on top. Place a sprig of mint next to the straws and a piece of mint chocolate on top. Dust with a little bit of coffee grounds on top. 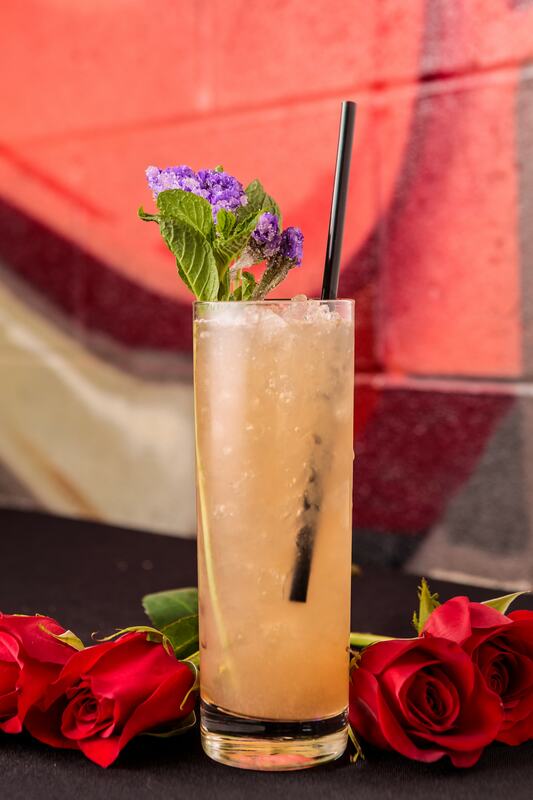 Mix Bourbon, lavender syrup, grapefruit juice, ruby red grapefruit, grapefruit bitters and mint in dry shaker tin and muddle. Shake with ice and double strain into juice glass. Top with grapefruit soda. Garnish with lavender stick and mint sprig.